Three single-phase custom inductors each rated 256uH, 48Adc with 50App ripple at 8kHz. Each inductor is constructed of 0.010 copper foil wound on an AMCC-50 amorphous metal core using Class H (180C) insulation. 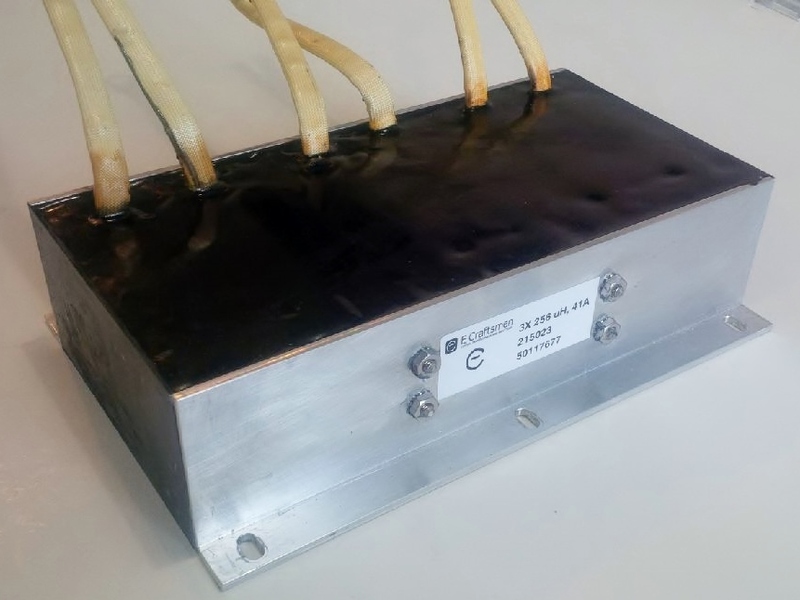 Encapsulated/casted in thermally conductive epoxy with conductive filler, contained within a partial aluminum housing with integral mounting bracket.